FIREFIGHTERS at a blaze Monday afternoon on Harbor Boulevard in Garden Grove (GGFD photo). 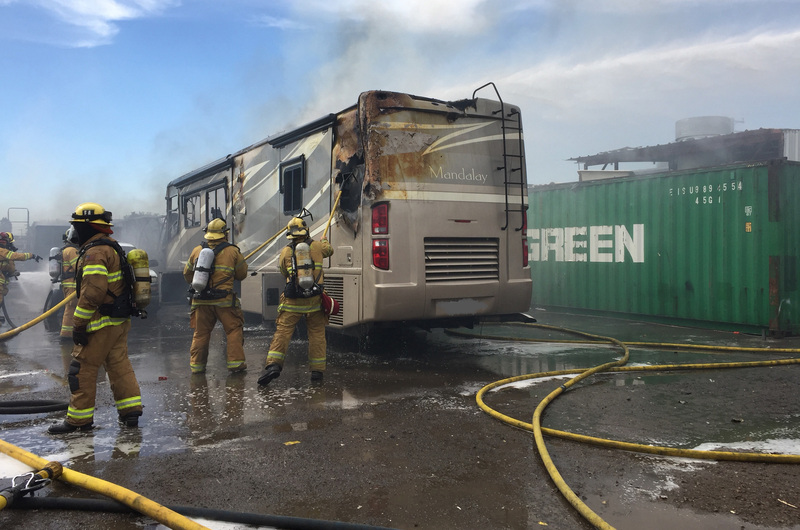 A blaze at a recreational vehicle dealership in Garden Grove Monday afternoon did an estimated $1 million in damage and took 50 firefighters to subdue. According to Capt. 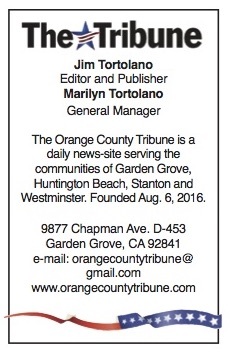 Thanh Nguyen of the Garden Grove Fire Department, the fire was reported at 1:58 p.m. at Pacific RV, 13731 Harbor Blvd. Arriving firefighters found two motorhomes involved in flames, next to a commercial building. The heat from that fire spread the blaze to two other motor homes. Battling to keep the fire from further spreading, a three-alarm call was made, bringing in more firefighters from not just Garden Grove, but also Anaheim, Orange and the Orange County Fire Authority. The huge blaze and temperatures of over 100 degrees complicated the task. In addition to the fire, a gasoline tank ruptured, spilling fuel onto the ground, which required a response from a hazard materials team. There were no injuries to civilians reported, but one Garden Grove firefighter was taken to a local hospital for treatment of heat exhaustion.